Young "Sully" Sullivan needed a job, and so in 1955 he applied for one at the brand-new theme park, Disneyland, where he was hired on the spot as a ticket-taker for the Jungle Cruise. 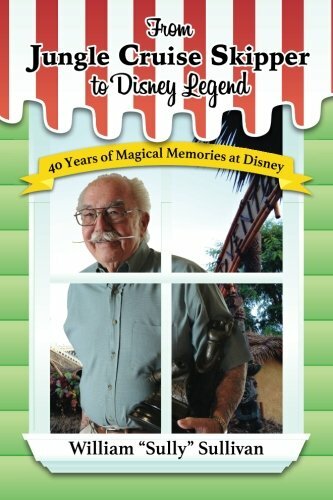 Soon he was promoted to skipper, and then he met his future wife at Waltah Clarke's Hawaiian Shop across from the Jungle Cruise, and then he was assigned to projects ranging from the 1964 New York World's Fair and Epcot to Disneyland Paris, and then it was forty years later, and Sully was retiring as vice-president of Magic Kingdom in Orlando. The raucous fraternity of Jungle Cruise skippers, and why they were known as "jungle bunnies"
Sully's never-before-told stories provide a unique, often irreverent glimpse into the history and culture of Disney theme parks.